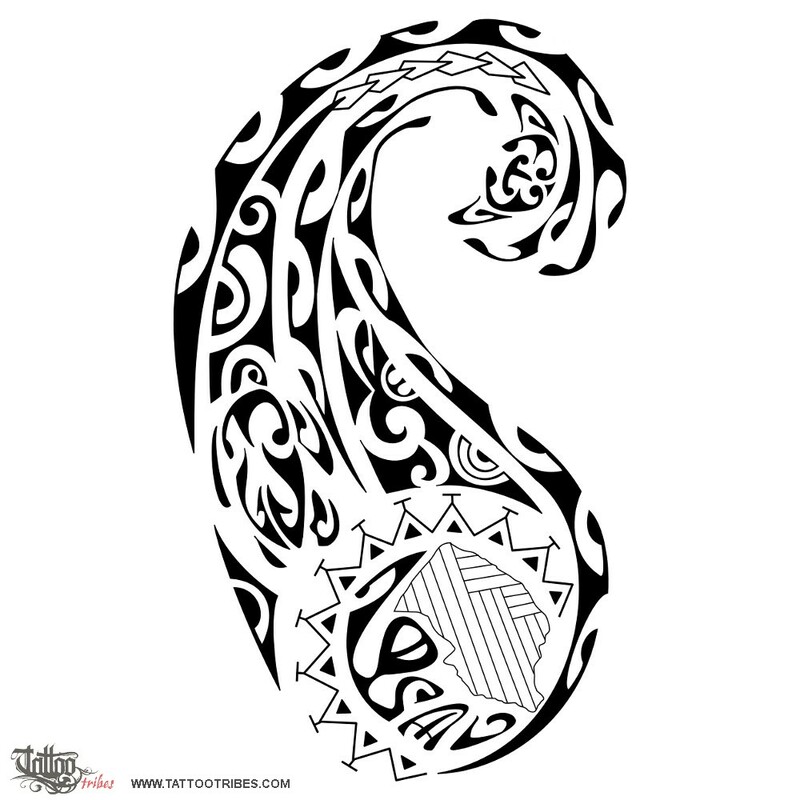 This tattoo for the calf was requested by Antonio, and it symbolizes his passion for waves, sun and wind... surfing and travelling in search for a freedom still not found, but which it´s worth fighting for (the spear). 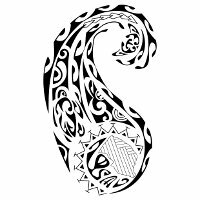 Waves are the main theme of this design, and they are joined to form a bigger wave ending in a manta (freedom and protection). On the inside are the traveller (the turtle, formed by fish hooks to symbolize status and prosperity) and a treble clef for music. In the center of the sun (joy and eternity), which is the source and origin of it all, there are a tiki, symbolizing protection, and the shape of Salento, Antonio´s homeland, symbolizing that anywhere he may go he will always carry it in his heart. The motif on its inside does represent an affective bond, and family.